Hi there! I'm Lindsay. Check out my resume or find me online: . I also write a little Solutions blog for myself to document problems I've solved. These are my completed projects. 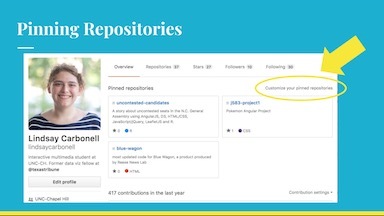 My works-in-progress are pinned on my GitHub. Featured: The projects I am most proud of. All: All projects in my portfolio. 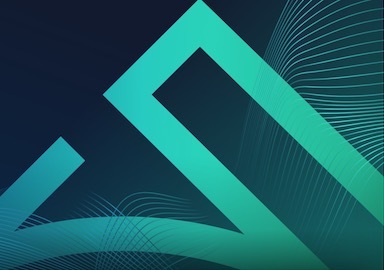 Visualization: Projects featuring data visualizations. Data: Projects primarily focused on obtaining, analyzing and cleaning data. Web Development: Projects featuring web development. As a web developer at ABT, I worked with clients to build clean, responsive, efficient websites that served their needs. Click through to read more. 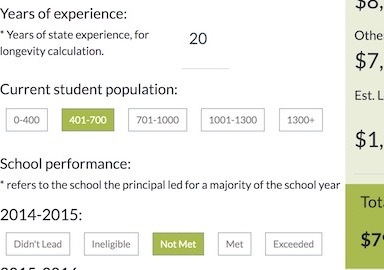 I gathered, cleaned, designed and coded a school explorer for a long-form piece on restart schools in North Carolina. 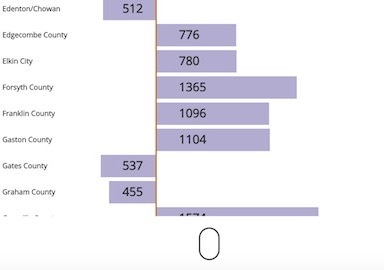 I made a quick one-day turnaround data visualization on school nurse ratio data. I also analyzed the data and advised on pull-outs to use in the story. 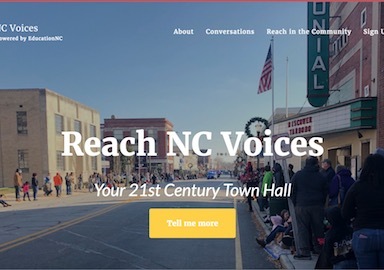 In addition to building the first Reach NC Voices website, I helped develop the brand of the Reach product, created several design prototypes, and iterated the design based on several rounds of user testing I conducted. 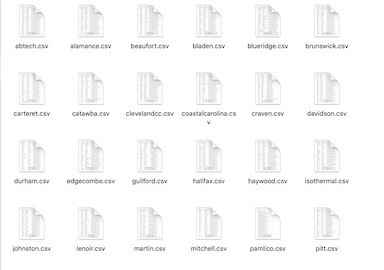 I scraped 25 community college websites for staff email addresses and saved them into CSVs for Reach NC Voices, one of my clients. I designed and developed a principal pay calculator based on the calculations in a spreadsheet created by nonprofit Best NC. 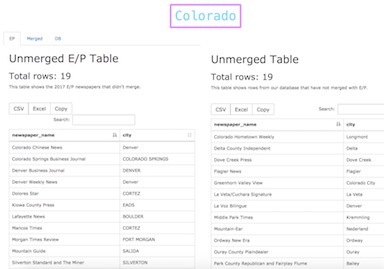 I designed and built a database of every newspaper in the U.S. I also designed and built a Flask application to assist in a fact-checking/database merge process. 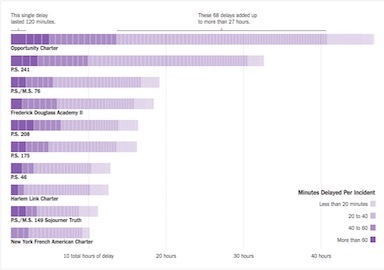 I helped uncover and visualize a story about school bus delays in Central Harlem through the NYT Student Journalism Institute. 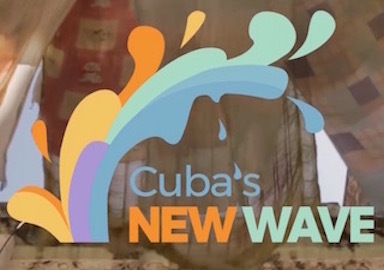 I led a team of 4 developers to build this site about youth in Cuba based on a custom lightweight CMS. I also edited all of the data visualizations, translated/transcribed content into Spanish and created "Internet Disconnected" for the Cutting Edge story. 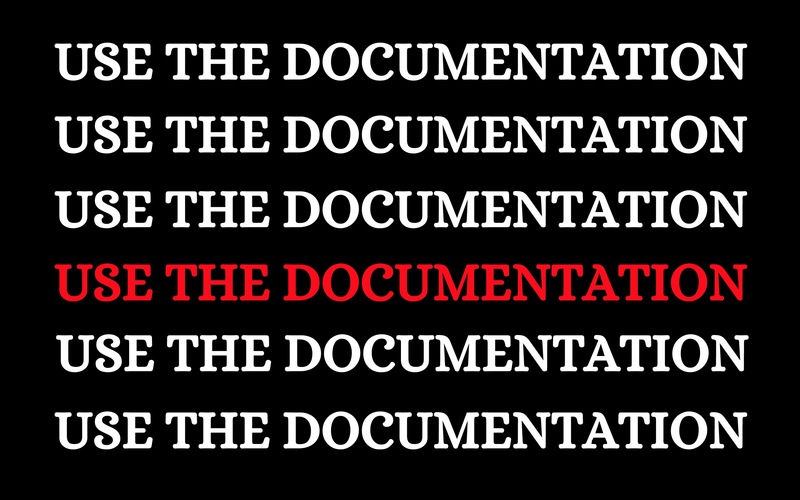 This project won many awards including an Online Journalism Award. 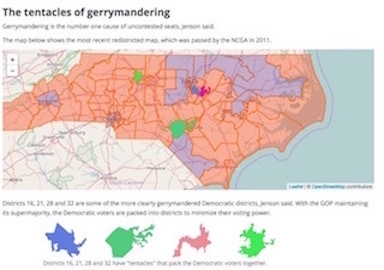 I analyzed N.C. voter data and wrote/coded this package about uncontested seats in the general assembly. 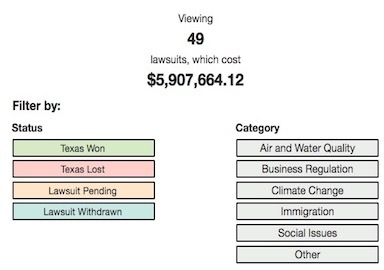 A web app that lists all of the lawsuits Texas has made against the federal government, and allows for sorting. 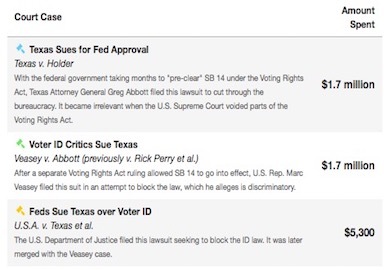 A timeline and table that lay out the costs of the voter ID litigation put forth by Texas. 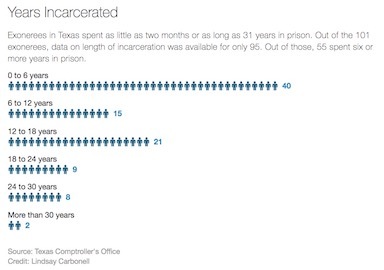 As a data visualization fellow at the Texas Tribune, I completed 4 daily graphics in addition to my longer-term projects. 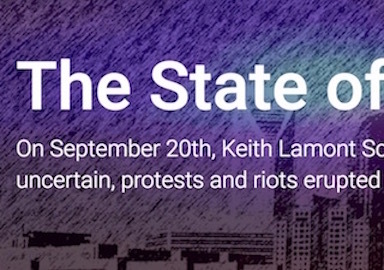 I worked 11 hours on a breaking news site with a UNC MJ-School team to cover the Charlotte shootings. I created the map and the photo gallery and debugged the site. 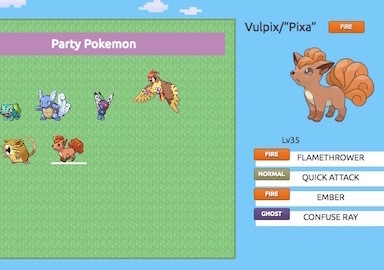 An AngularJS app, designed well before Pokémon Go's release, that serves as a reference for the stats on the original 151 Pokémon. Also see my Daily Tar Heel articles. What reporting on a small Siberian village looks like between three different news organizations. 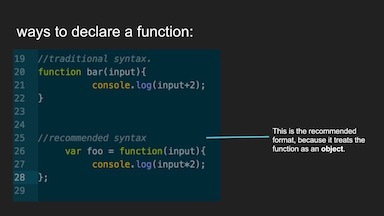 A course I am currently teaching in Front-End Web Development for free. A Google Doc with data journalism resources that I maintained from Dec 2017 to Feb 2018. The fourth and final workshop during my semester as founder of Journalists Integrating Computer Science (JINCS) at UNC. The second workshop during my semester as founder of Journalists Integrating Computer Science (JINCS) at UNC. The third workshop during my semester as founder of Journalists Integrating Computer Science (JINCS) at UNC. The first workshop during my semester as founder of Journalists Integrating Computer Science (JINCS) at UNC. A single lecture I gave for the intro to interactive multimedia (187) course at UNC's School of Media and Journalism.